Stephen King fans are being spoiled this year! With Pet Semetery out in theaters and It: Chapter 2 fast approaching, another adaptation of the horror master’s work is also taking form. According to AV News, Apple is producing another King adaptation for its own Apple TV+ streaming service. The book adapted will be Lisey’s Story, psychological blend of horror and romance centered around a female protagonist: Lisey Landon. The book is about Lisey dealing with the death of her husband, a former author with a dark past and some magical powers. The adaptation will star Julianne Moore in the titular role as Lisey. J.J. Abrams and his studio, Bad Robot, will be helping to producce the series. Its unknown when the series will commence production but we hope to see it soon. Might even be worth subscribing to Apple TV+ for! Are you excited about this adaptation? Let us know in the comments! The Netflix/Lifetime show You, an adaptation of the novel of the same name, has been a controversial one. While receiving critical acclaim, including a 93% rating on Rotten Tomatoes, rave reviews, and a reneweal for a second season, the show, has garnered criticism for what some view as its overly sympathetic portrait of the show’s protagonist and narrator, Joe Goldberg, portrayed by Penn Badgley. Despite Badgley’s character engaging in stalking and eventually murder, the character sparked considerable sympathy from fans of the show, a lot more than perhaps the creators intended, despite his horrific and creepy actions throughout the season. YOU: Interesting adaptation of the Kepnes book. What's fascinating is the contrast between Joe's relationship with Beck (inward and neurotic) and his relationship with Karen, which seems more outward and adult. It is clear that King, like so many others, enjoyed the adaptation and considered it an ‘interesting’ counter to the book. He seems to praise Joe in particular as a fascinating character, considering the two sides to his personality depending on who he interacts with. It would be great to get King’s opinion in the form of a longer piece but considering his writing schedule, we doubt he has any time. What do you think of You? Do you agree with King’s opinion? What do you think of the adaptation and the novel? Tell us! Kristen Stewart and Laura Dern Star in JT LeRoy Biopic! 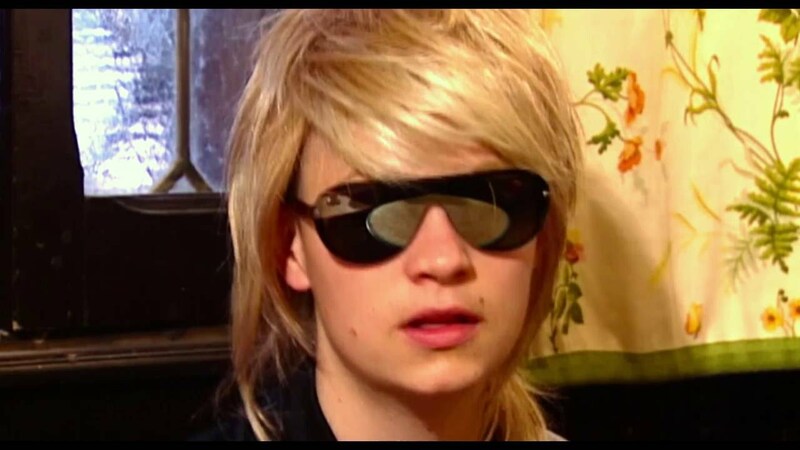 JT LeRoy is making headlines again, but this time it’s because the film of the same name based on this literary debacle has finally gained distribution after its breakout premiere at the 2018 Toronto Film Festival. Let’s back up. In 2000 came Sarah, a fictional novel that was written and based on the life of JT LeRoy. The next years came a collection of linked stories, The Heart Is Deceitful Above All Things. According to Vanity Fair, “[t]he books were mostly well reviewed, and even critics who didn’t care for the prose, or found the disturbing subject matter overwrought as art, paid obeisance to the horrible contours of the life”. Who can blame them? JT LeRoy purported to be the son of a drug addict mother, who had his first sexual experience as early as five. He was raped, beaten, addicted to heroin, and homeless by the time he was thirteen. “He was H.I.V.-positive. He cut himself. He burned himself. He associated love with brutality and exploitation, could only feel human connection through physical pain,” Vanity Fair writes. While the books were fiction, the trauma certainly wasn’t. The public wanted to see this person who wrote down his pain and soon enough they did. At least, it seemed that way. With friends in high places and a face that everyone couldn’t get enough of it, a film was put into the works. Asia Argento adapted The Heart Is Deceitful Above All Things into a film. It starred Argento himself as well as Peter Fonda, Marlyn Manson, Michael Pitt, and Dylan and Cole Sprouse. Here’s the problem: Jeremiah Terminator LeRoy is a pseudonym for Laura Albert. The JT LeRoy who had been walking around? That’s Savannah Knoop, Albert’s boyfriend’s half-sister. This reveal came as a shock. Certainly Albert didn’t intend for it to go this far, author’s use pseudonyms all the time (Looking at your Richard Bachman, or should I say… Stephen King! ), but contracts were written with JT LeRoy’s name and that meant legal trouble for Ms. Albert. So that was that, until it wasn’t. Well, Kristen Stewart won out. Will you check this film out when it comes to a theater near you?